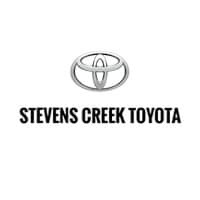 So when your Toyota or Scion vehicle needs factory-scheduled maintenance or minor repairs, don’t let it slow you down. Toyota Express Maintenance offers everything you need to keep moving. Quality workmanship. Competitive pricing. Fast Service. All from the one place you trust to do it right – your local Toyota/Scion dealer. Our Toyota-trained technicians are deployed in a “pit crew” approach, to help ensure your vehicle receives rapid and accurate service. Quality. Speed. Value. With Toyota Express Maintenance, you can get it all from the place you already know and trust-your local Toyota / Scion dealer. Get the right price and the right quality – right now- with Toyota Express Maintenance. Our Toyota-trained technicians will perform a multipoint Inspection. It’s like a report on your vehicle’s performance to help give you peace of mind that your vehicle is in top condition. We know you want to protect your investment and have your service performed fast. But we also know you want to maintain the superior performance that your vehicle had when you purchased it. That’s why we use genuine Toyota parts-to help keep your vehicle performing at its peak, so you don’t have to compromise on quality to get the speedy service you want.